What structured the relationships between architecture and seeing during the early modern period? Despite a recent wealth of research on the sensory effects of Renaissance and Baroque architecture and architectural images (Howard & Moretti 2009, Skelton 2015, Atkinson 2016, Arciszewska et al. 2017), much about the shifting interplay between architecture and visual experience from the fifteenth to the seventeenth century remains to be explored. Johannes Grave's Architekturen des Sehens and Gerd Blum's Fenestra prospectiva attack this problem from opposite angles. Grave examines the image as a context for architecture, assessing how Quattrocento painters staged architectural perspectives to shape pictorial experience. Blum evaluates architecture as a context for images, scrutinizing how the Italian Renaissance understood the built world as a tool for framing views. In taking these different approaches, the books nevertheless offer complementary accounts of how architecture organized visual experience in pre-modern Italy. During the fifteenth century, as Italian architects began exploring the harmoniously proportioned forms of Classical building - often by referring to painting - artists began depicting space through similar all'antica architecture. The concurrent rise of classicizing architecture and linear perspective has lead scholars to claim that these were mutually reinforcing trends within a broader developmental history of spatial representation and framing. Grave has different interests. Instead of focusing on the tandem emergence of Renaissance architecture and linear perspective, he examines how these events altered pictorial experience. 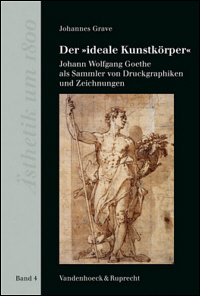 The first part of Architekturen des Sehens thus describes three turning points for architectural images as contexts for envisioned space: Antonio Manetti's account of Filippo Brunelleschi's breakthrough architectural perspectives, Leon Battista Alberti's notion of the painting as open window, and the precocious reflections on apprehending images in Nicolaus Cusanus's De visione Dei. Such cases, Grave contends, should prompt us to ask how the rise of architectural perspectives - with all their complexities and contradictions - amplified the contemplative dimensions of pictorial experience. In the discussions that follow, Grave does just that, revealing how much we can learn by evaluating the ways in which early architectural perspectives structured visual experience. Part Two, on the ambiguities of represented architecture, reveals Masaccio's Holy Trinity fresco not only as a triumph of perspectival naturalism, but a prompt for meditation on the vicissitudes of perception. Part Three, which assesses the interaction of image and frame, demonstrates how Domenico Veneziano and Piero della Francesca's architectonic altarpieces became theaters for discovering multifaceted and often contradictory levels of pictorial reality. Part Four, on interferences between pictorial and actual space, asserts that the wall frescoes of such artists as Andrea del Castagno, Domenico Ghirlandaio, and Filippino Lippi attuned audiences to conflicts between architecture and painting at the very sites where those media fused. The ambiguities of these and other Quattrocento architectural perspectives, Grave asserts, complicated viewers' experiences of represented space and prompted reflection on the act of seeing itself. The pursuant deceleration of viewing, he contends, introduced new possibilities for painting as a conduit of devotion. But if architectural perspectives in religious painting prompted pious introspection, they incited different responses in other contexts. Architekturen des Sehens culminates with a study of Andrea Mantegna's Camera picta, in which Grave reveals how the vagaries of architectural perspective in secular painting elicited not piety, but pleasure. Scholars have long treated the rise of linear perspective as a watershed for the advent of the autonomous, secular work of art. 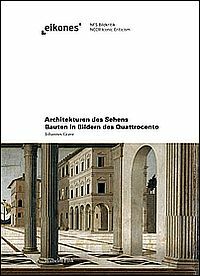 Architekturen des Sehens shows that Renaissance perspective made sight a vehicle of insight and autonomy for profane and sacred images alike. Grave's compelling claims beg the question: how did Renaissance understandings of built architecture as a context for seeing take shape? Blum's Fenestra prospectiva responds to this query, narrating what the author identifies as the first history of the early modern architecturally-framed view. The Italian Renaissance, with its relative wealth of surviving evidence for architecture as a framework for visual experience, again provides the principal scene of action. One of Blum's primary tools of inquiry is Foucault's notion of the dispositif, the apparatus that links discursive and non-discursive practices as well as institutions and (in Blum's case) architectural bodies. Blum asserts that Italian Renaissance architecture imposed a dispositif of the gaze [Dispositive des Blickes], dictating physical and performative frameworks for appreciating space. Renaissance architecture, for Blum, owes its influential position in the history of seeing to its outstanding aptitude for structuring visual experience. 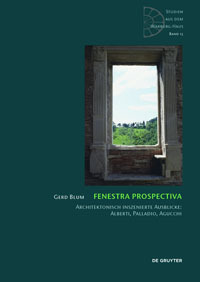 Fenestra prospectiva explores the Italian Renaissance's prime architectonic frameworks of vision, which often revived forms celebrated in Classical literature. The first is the Hügeltheater, or "hill theater," an elevated site with views in all directions circumscribed by the horizon, which the ancient Romans regarded as an ideal topography and a kind of natural architecture. 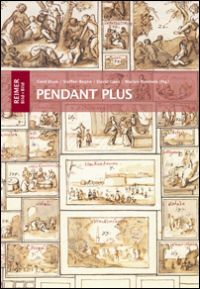 Blum examines the Renaissance re-emergence of the Hügeltheater trope through such writings as Leonardo Bruni's Laudatio florentinae urbis and Alberti's De re aedificatoria, and such real and imagined architecture as Pius II. 's Pienza, Filarete's Sforzinda, and Giuliano da Sangallo's Medici villa at Poggio a Caiano. These cases of Renaissance fascination with raised sites offering panoramic vistas, Blum contends, both reinvigorated the ancient notion of the architecturally-framed prospect and promoted architecture as the centerpiece of an ideal, universal topography. He interprets Palladio's so-called Villa Rotonda as an approximation of this ideal, a masterful synthesis of architecture's inner and outer relationality with the viewed environment. Blum finally casts Giovanni Battista Agucchi's account of the Villa Aldobrandini and its gardens, perhaps the period's most extensive description of an architecturally-staged view, as the swansong of the Hügeltheater ideal. Thereafter, the old cosmology of a circular, closed universe gave way to a concept of the world as a theater with limitless horizons of sight. Another major concern of Fenestra prospectiva is how Renaissance architectural openings - balconies, loggias, doors, and above all windows - came to be regarded as frameworks for seeing. This investment in a narrative of formal development is where Blum differs most from Grave. Blum attributes the Renaissance revival of ancient discourses on architecturally-framed views to the rediscovery of Roman villa descriptions, juristic literature governing forms of windows, Lucretius's De rerum natura, and the attendant rebirth of Epicurean optics. Ancient themes of architecturally-defined seeing assumed new life in the writings of such authors as Lorenzo Valla and Alberti, which in turn influenced how architects translated those ideals to brick-and-mortar reality. For instance, Blum connects Alberti's idea of architecture as a framework for vision in De re aedificatoria and his theory of the image as open window in De pictura to the Quattrocento rise of the quadrilateral window without tracery, or fenestra prospectiva, at sites like the Palazzo Ducale in Urbino. Blum further contends that view-framing Renaissance projects such as the Stanza della Segnatura, the Cortile del Belvedere, and the Villa Madama merged the Albertian ideal of the window-image with the theater of nature evoked in contemporary natural philosophy. Such spaces, he argues, catalyzed new paradigms of the view: the prospect and the panorama. Neither book is without flaws. Blum's excurses on modern architecture do not clearly contribute to his central arguments about Renaissance building. Grave's very brief consideration of the pivotal architectural perspectives in the relief sculptures of Lorenzo Ghiberti and Donatello struck the reviewer as a lost opportunity. In a book about mediation and the interplay between media, a more sustained comparison between sculpted and painted architectural perspectives could have proven fruitful. With the exception of Grave's lengthy discussion of Cusanus, each book moreover gives only passing consideration to cases from Northern Europe. This is a surprising move, given that northern artist-architects such as Albrecht Dürer and Hans Vredeman de Vries also altered how architecture was understood to structure vision. 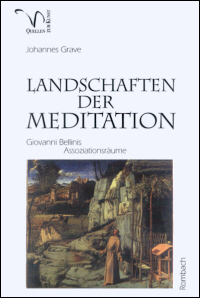 Ultimately, however, Blum's deft use of sources and Grave's superb methodological insights outweigh these deficits. As Grave himself notes, current conversations about the potentialities, effects, and efficacy of images will profit richly from such nuanced histories of visual experience.